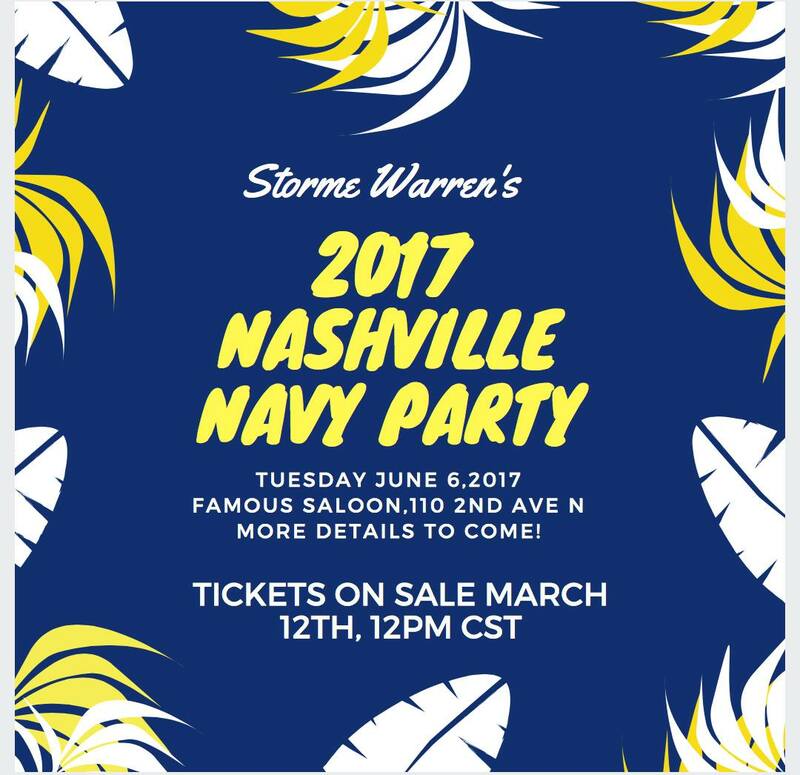 2017 Nashville Navy Party On Sale 3/12 12PM CST! 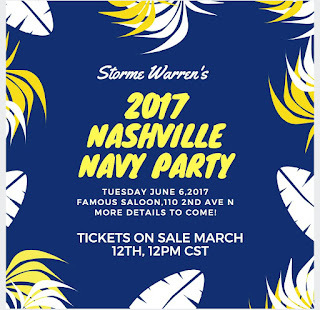 The 2017 Storme Warren's Nashville Navy Party will be on Tuesday June 6th at a brand new location, Famous Saloon on 2nd Ave!! Tickets will go on sale March 12th at noon central! More details and artist announcements to come!!! !